Miscellaneous Smallwares for Chinese Restaurants and restaurant kitchens. These chinese restaurant smallwares are strong and durable for busy kitchens. Mundial Cleaver Handle White - 6.5 in. Update International Rubber Scrapers - 16 in. Winco Silicone Scraper - 10.5 in. Winco Silicone Scraper - 14 in. Winco Bowl Shape Silicone Scraper - 10 in. Winco Bowl Shape Silicone Scraper - 14 in. 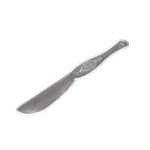 Winco Bowl Shape Silicone Scraper - 16 in. Buy your chinese restaurant smallwares from the restaurant supply superstore.